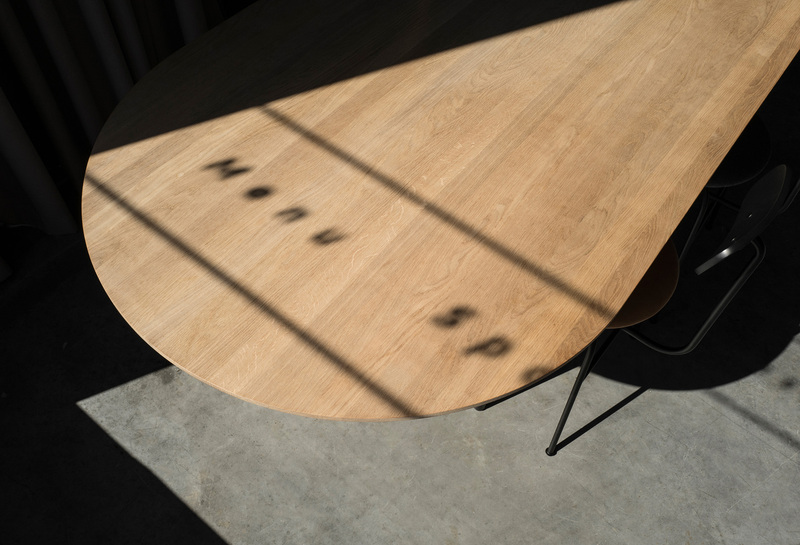 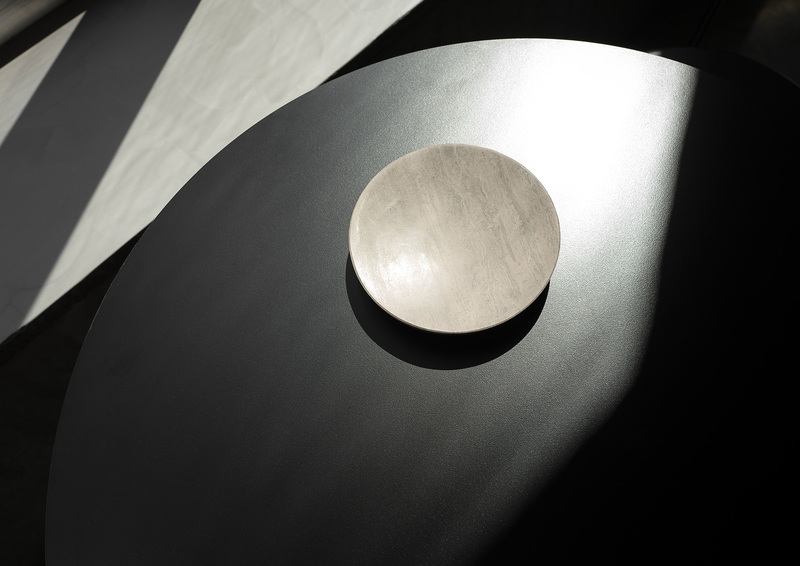 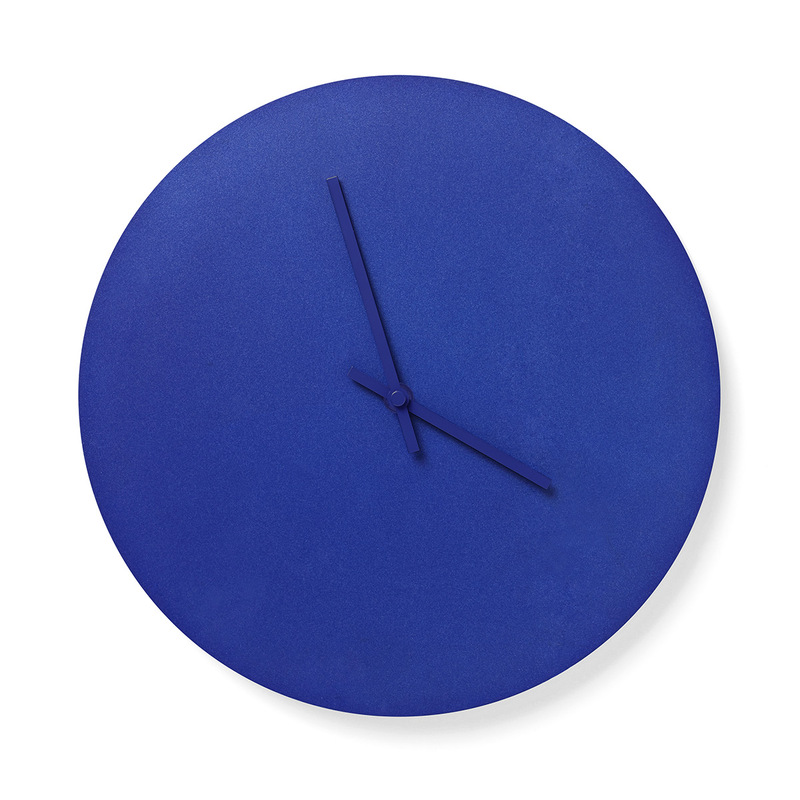 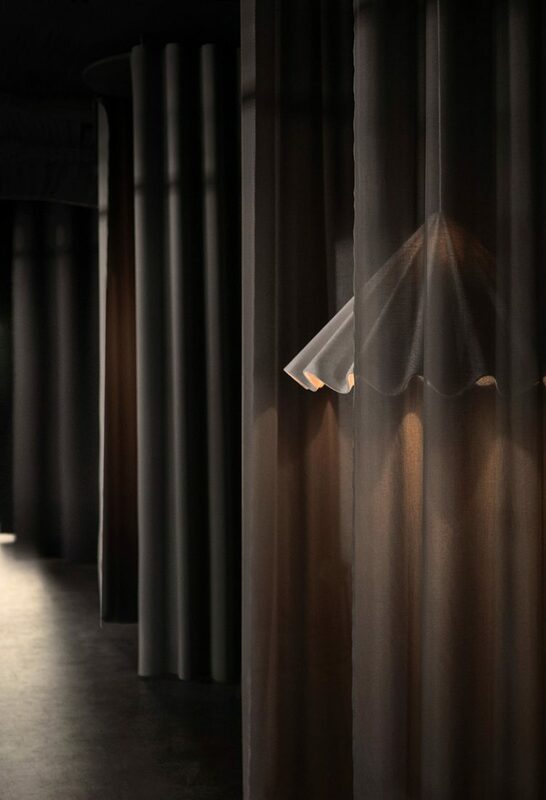 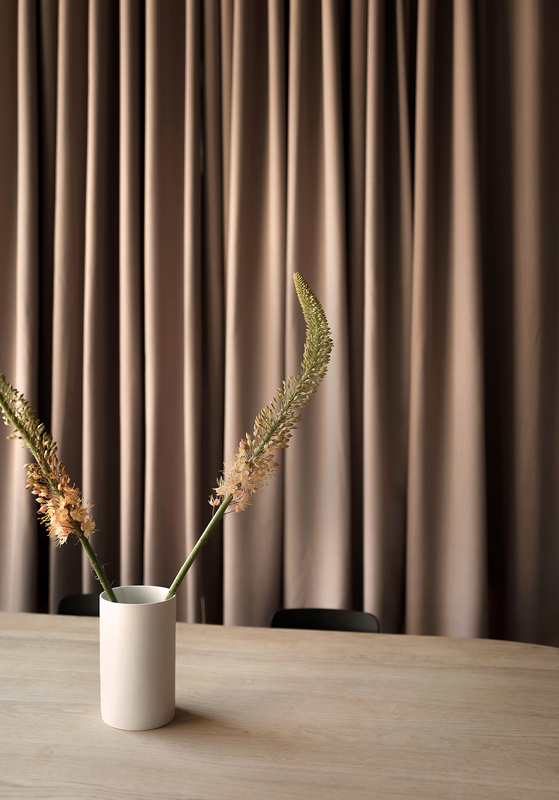 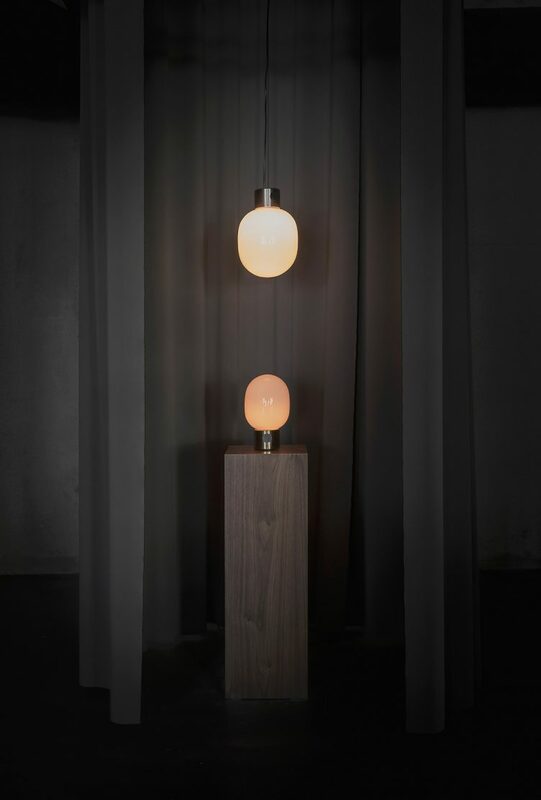 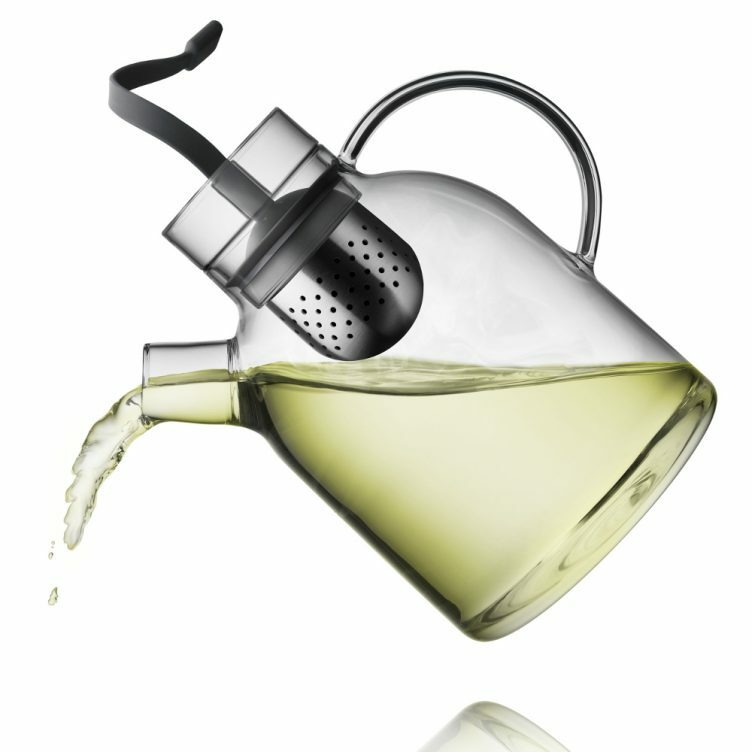 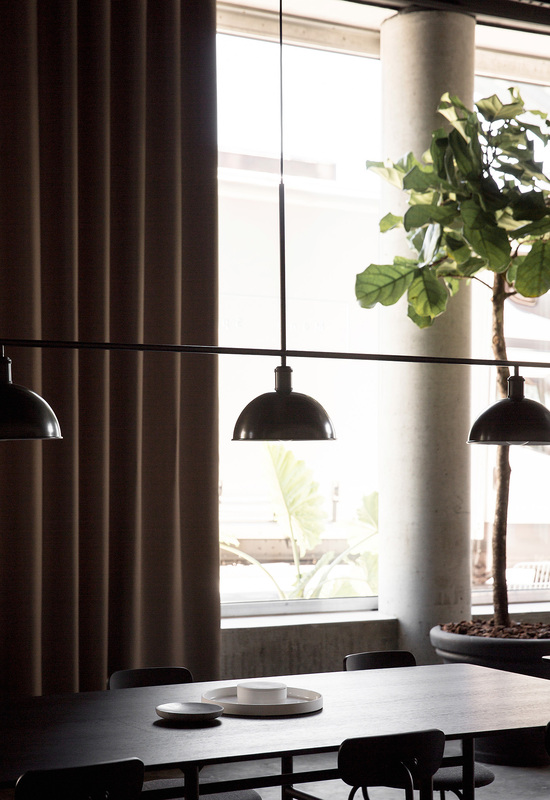 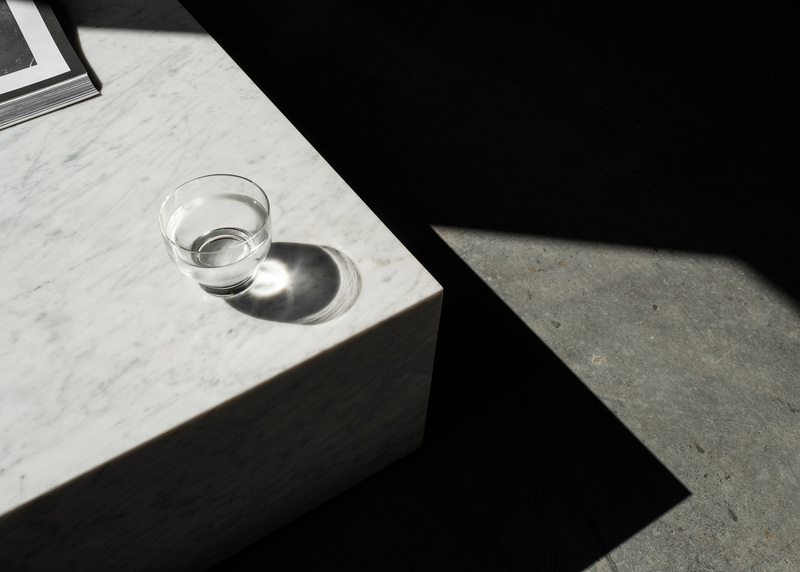 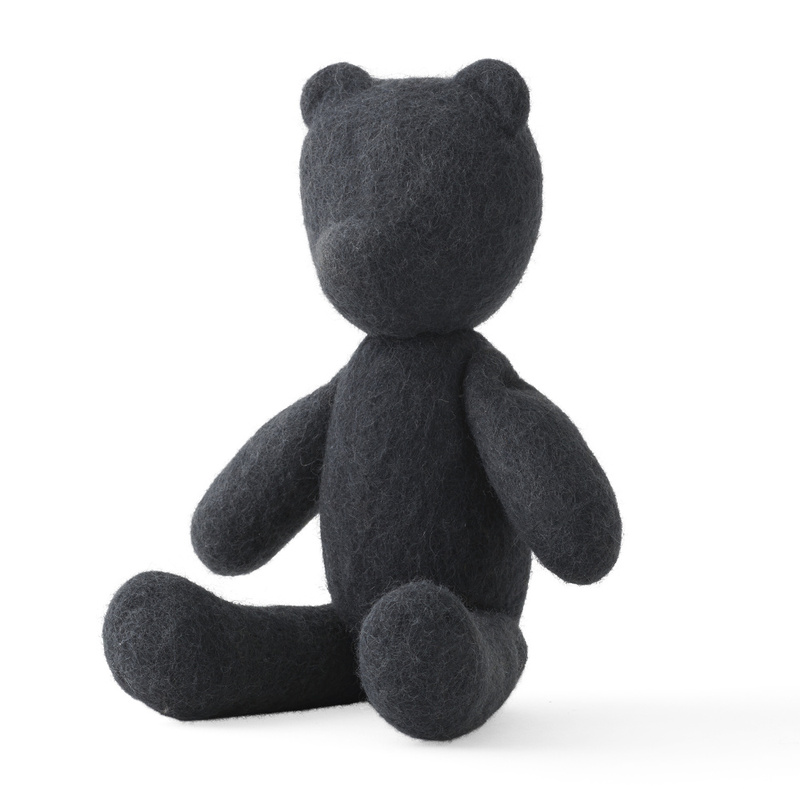 “Menu Space is our newly finished showroom, office, and café, designed specifically for Danish design company MENU. 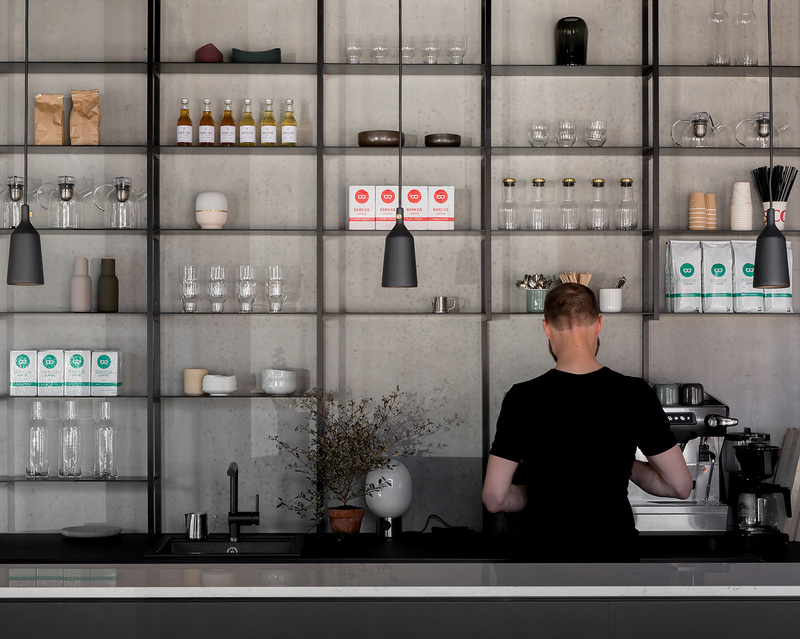 With the goal of building a community around Menu as a design brand, Menu Space is a new creative initiative aimed at bringing likeminded creative thinkers closer to the brand and encouraging them to share their stories, ideas and processes. 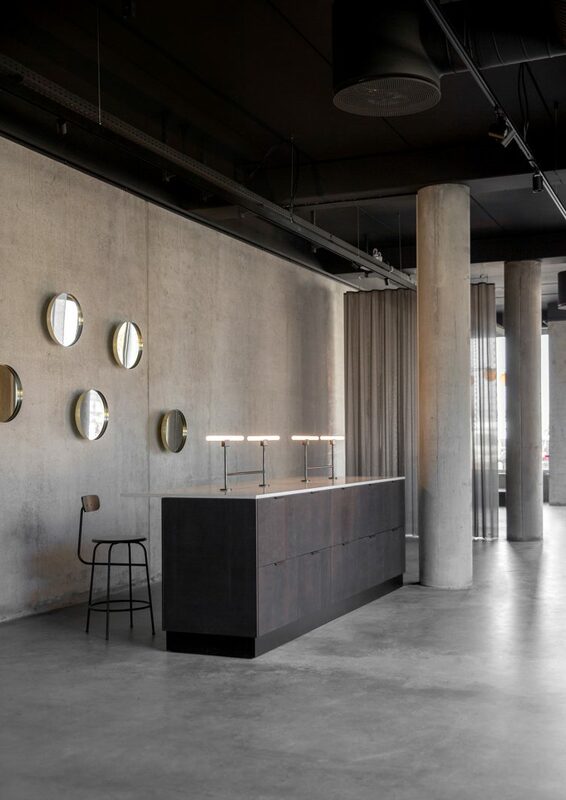 Featuring a showroom, office and café, we had the pleasure of helping this new approach to running a succesful design business to fruition by creating a space for great ideas, beautiful design, powerful concepts and inspiration as well as openness, knowledge sharing, co working, and collaborations. 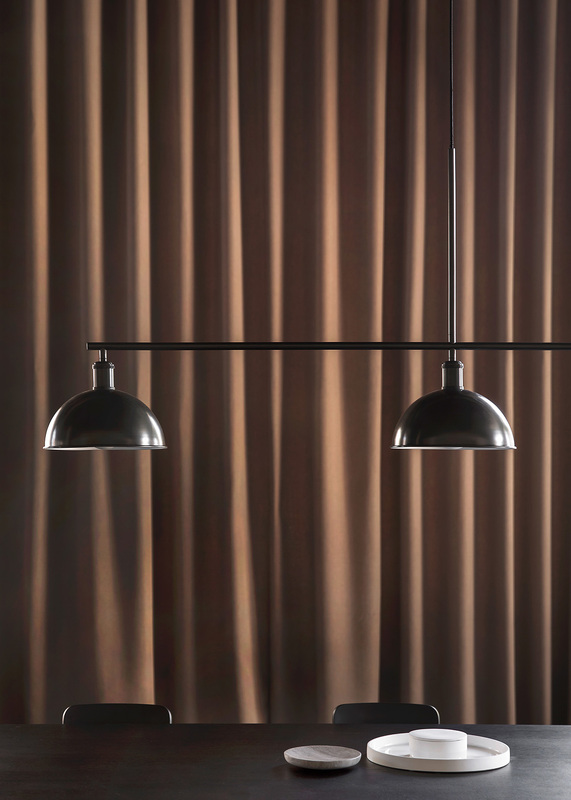 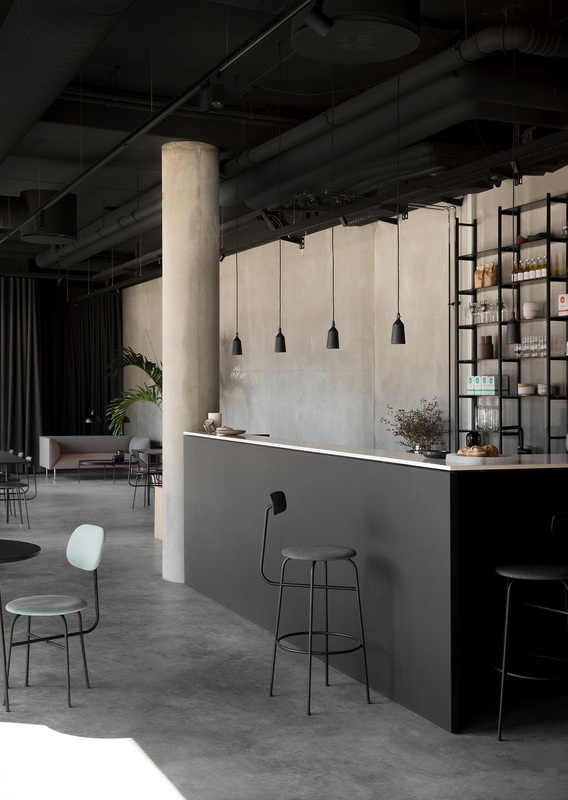 With the goal of creating a welcoming space where everyone can stop by – for a coffee, a meeting, or simply to have a close up look at the designs of Menu – the interior is inspired by the raw and industrial setting of the surrounding area. 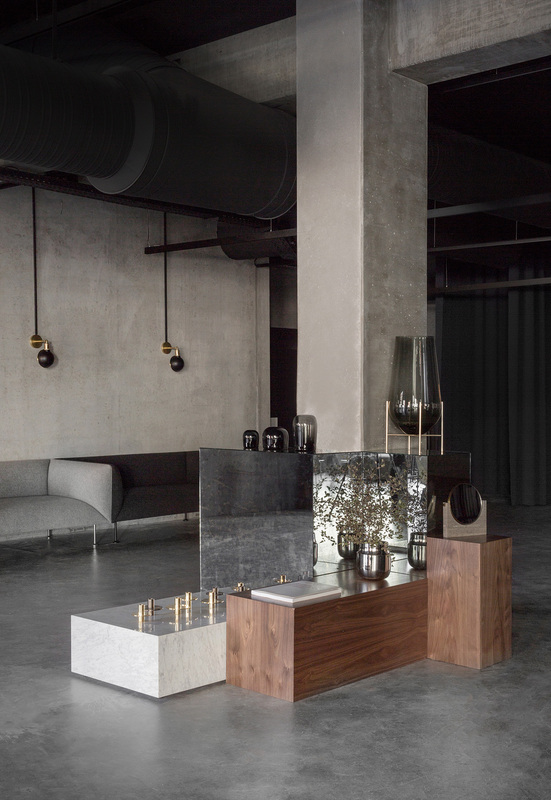 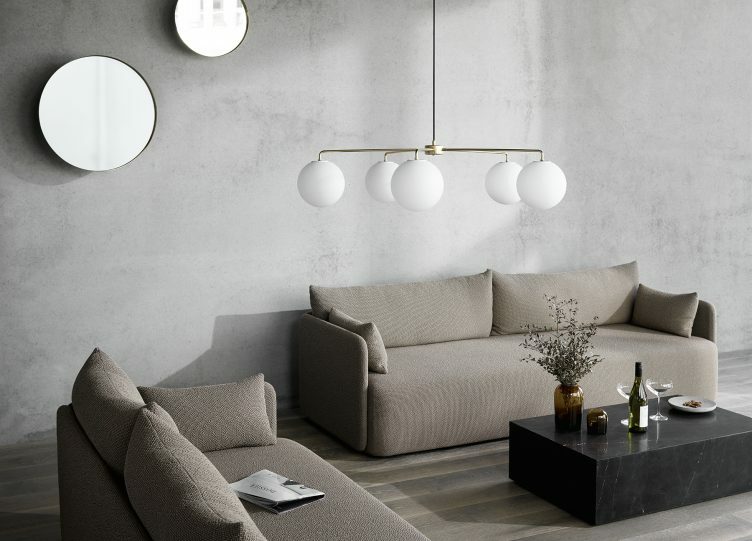 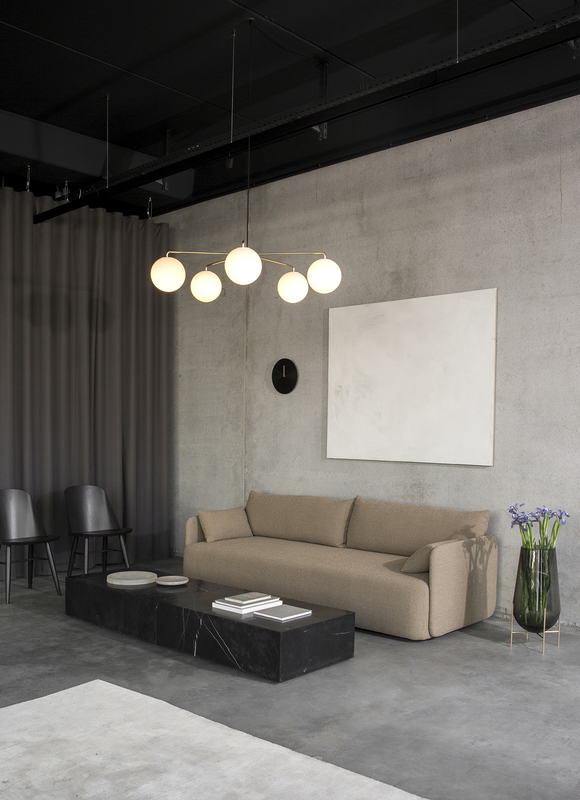 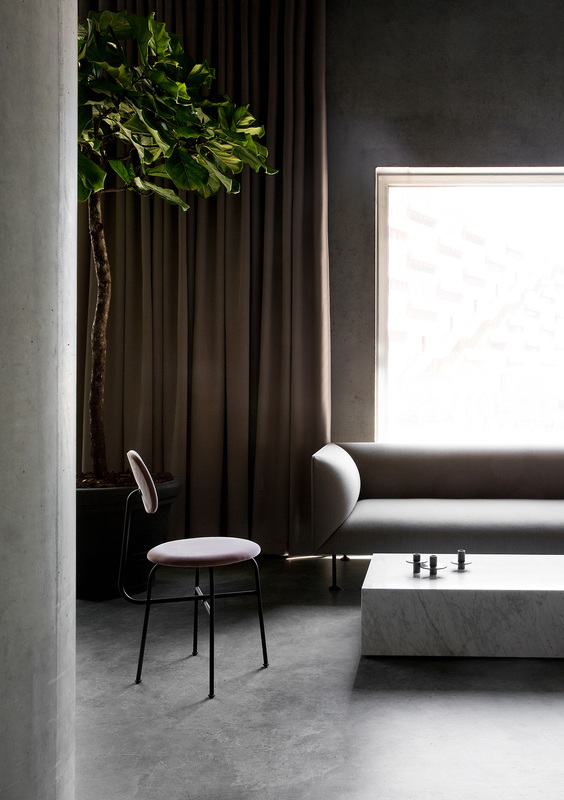 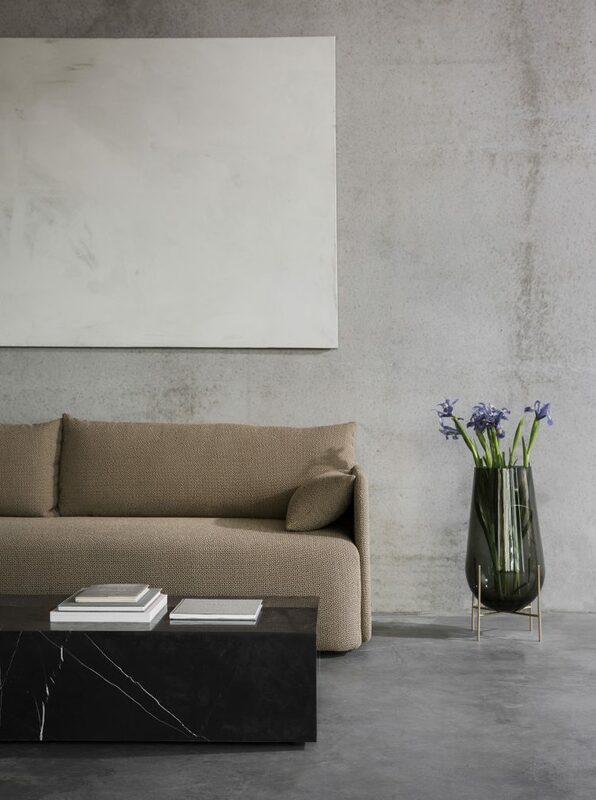 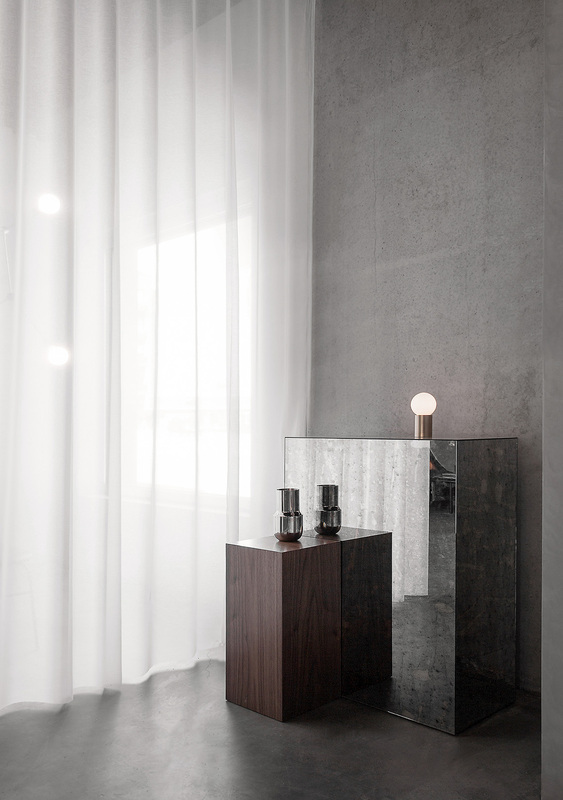 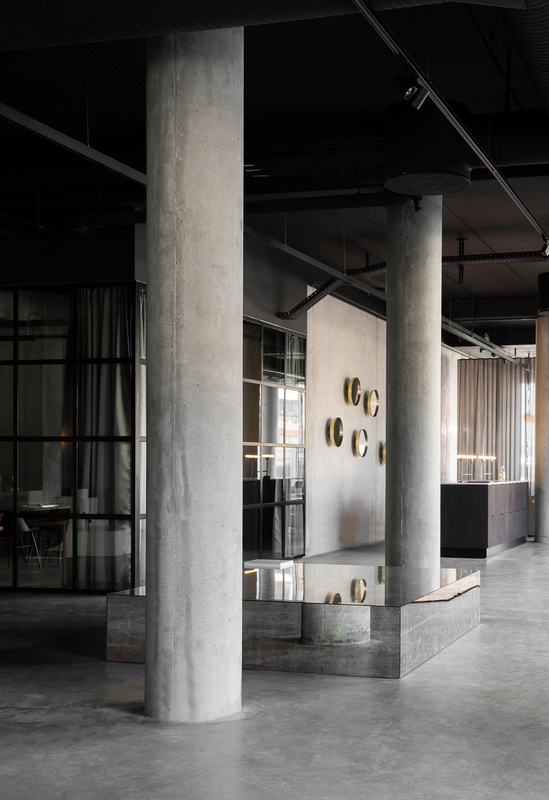 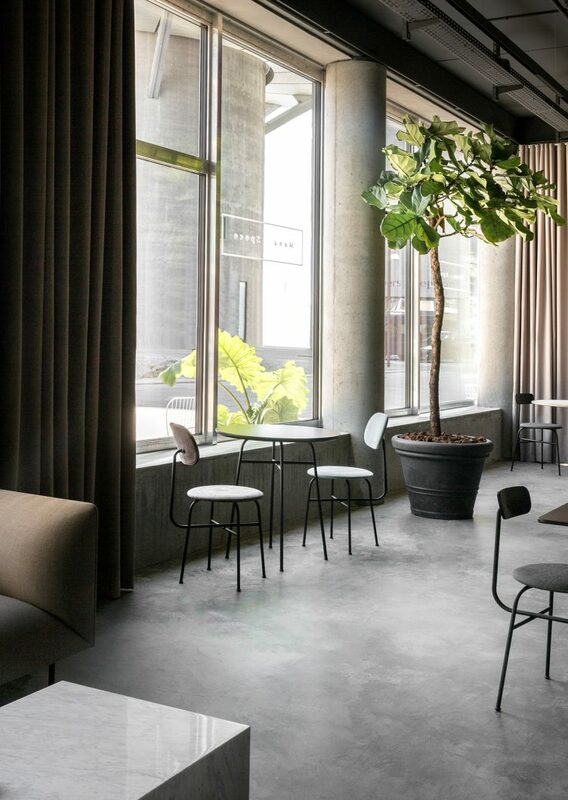 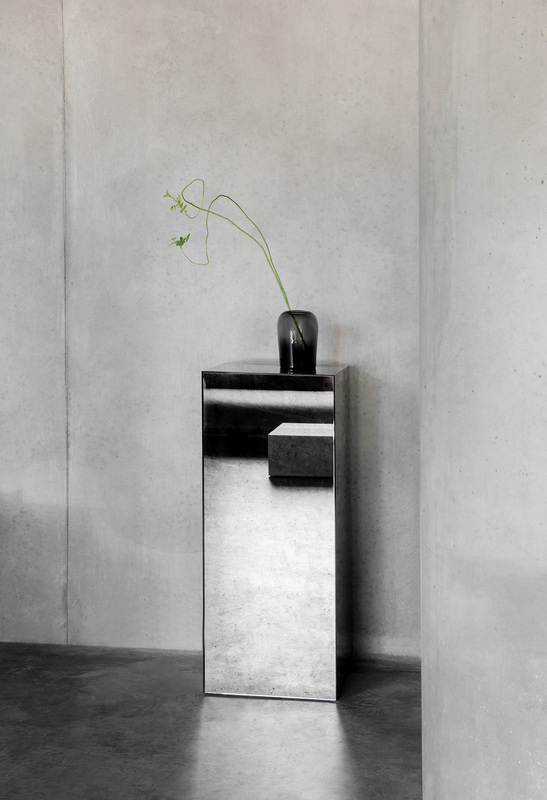 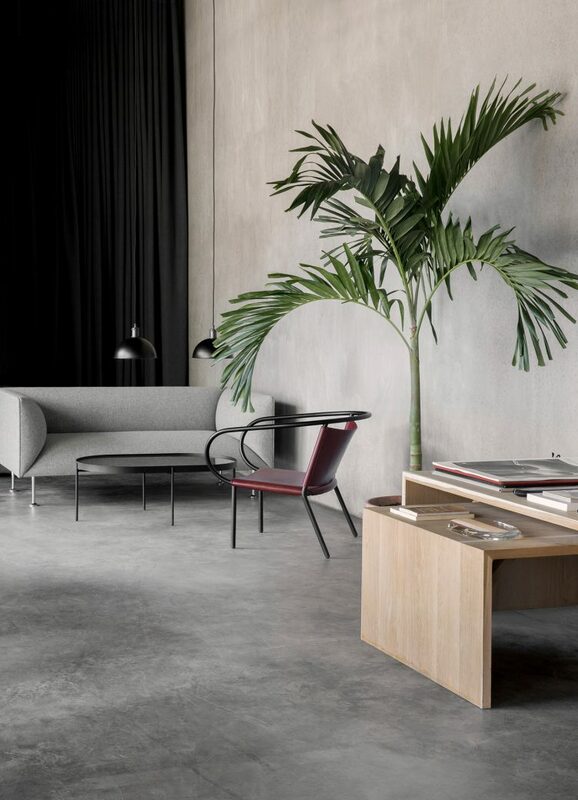 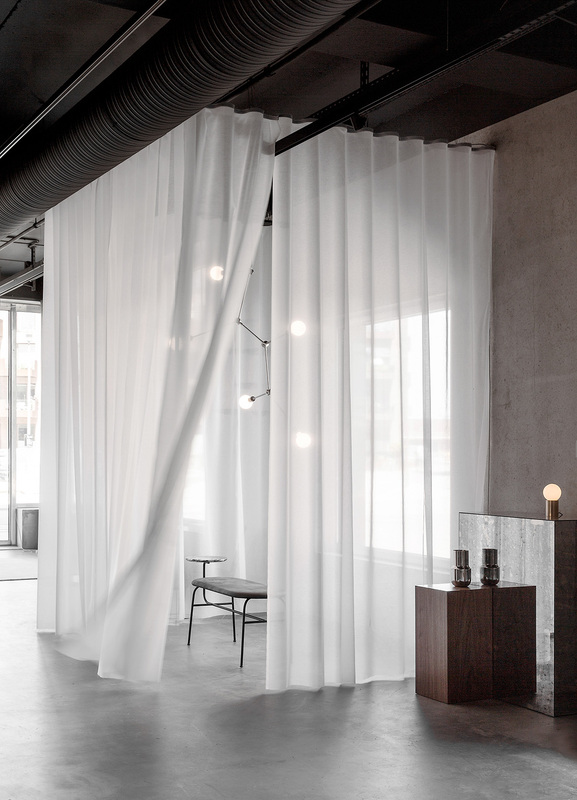 Located in the upcoming Copenhagen neighbourhood surrounding the harbour in Nordhavn, the space draws heavy inspiration from strong materials such as concrete and steel, which can be seen throughout the space. 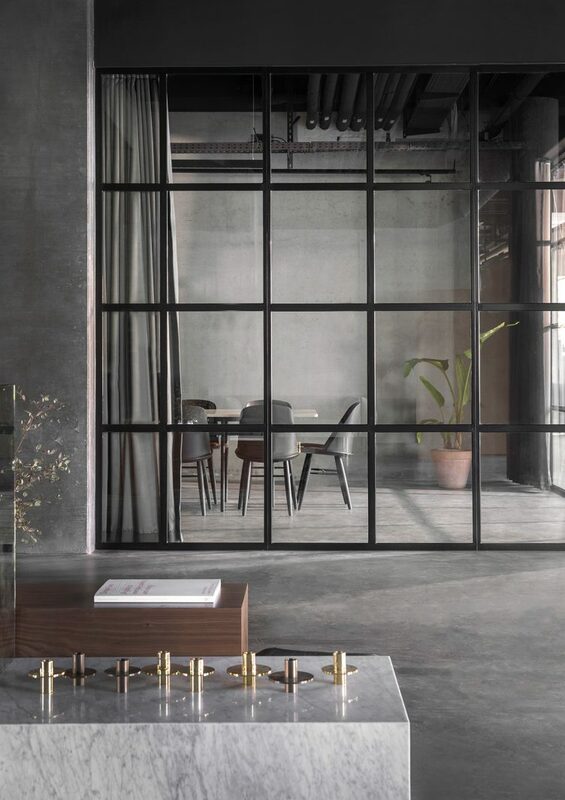 This use of natural and durable materials provides a beautiful contrast to the objects and designs that fill the plateaus, floors, and corners.